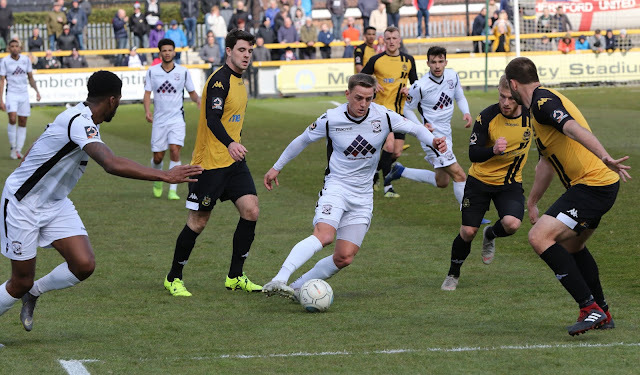 Hereford were defeated away from Edgar Street for the first time since New Years Day yesterday afternoon at what is now called the Merseyrail Community Stadium, once known as Haig Avenue, the home of Southport. 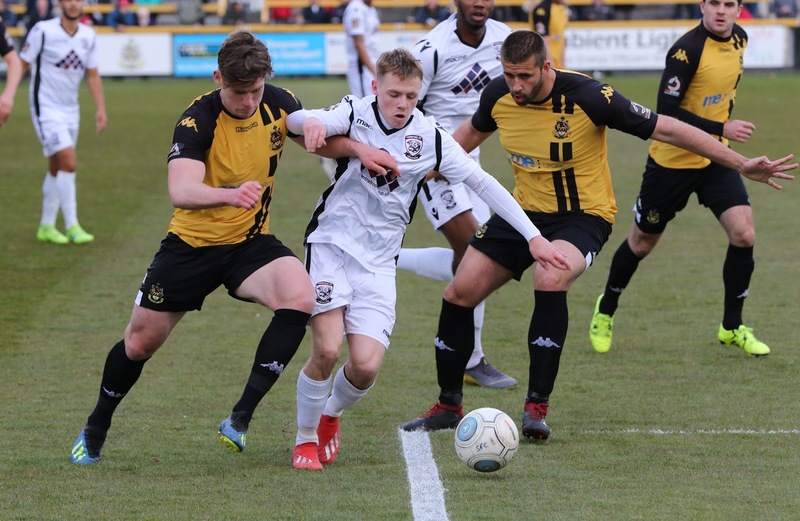 On a cold and windy afternoon and on a very dry and uneven pitch, the same for both teams, Hereford just couldn't deal with a team albeit with little footballing skill. So disappointing after the win over Spennymoor and the draw against Stockport recently. 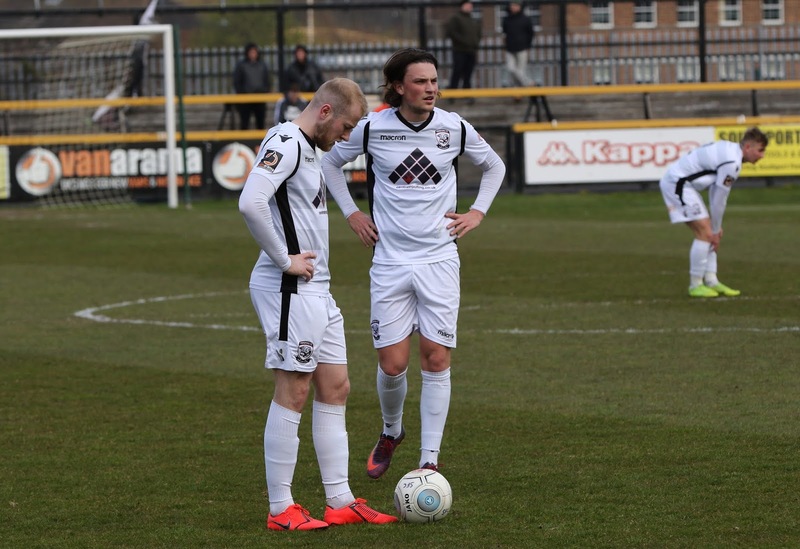 Head coach Marc Richards opted to go with just one change from the starting eleven against Alfreton last Tuesday. 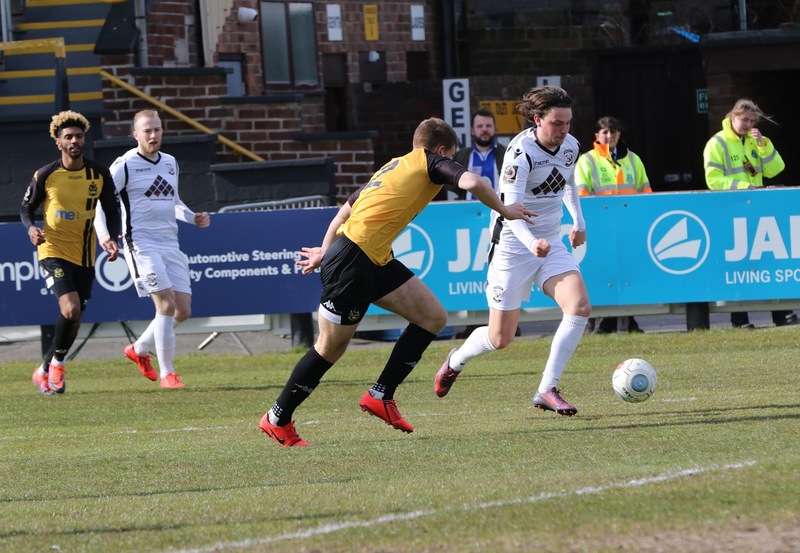 No place for Mike Symons, his place taken by Kyle Finn, and Keiran Thomas was left out altogether as he recovers from his recent accident. Also missing was Lance Smith as he recovers from injury. Whatever ones opinion of Symons this was a game where he might have started given the conditions. When he eventually came on during the second half he did win several balls in the air which were more than new striker Rowan Liburd managed thoughout the whole game. The game kicked off with the Bulls playing towards the Southport end. Around ten minutes in James Waite might have had a claim for a penalty as he burst into the area. And twenty minutes later Hereford were awarded a free kick after Eliot Richards was brought down. But Danny Greenslade's kick hit the wall. 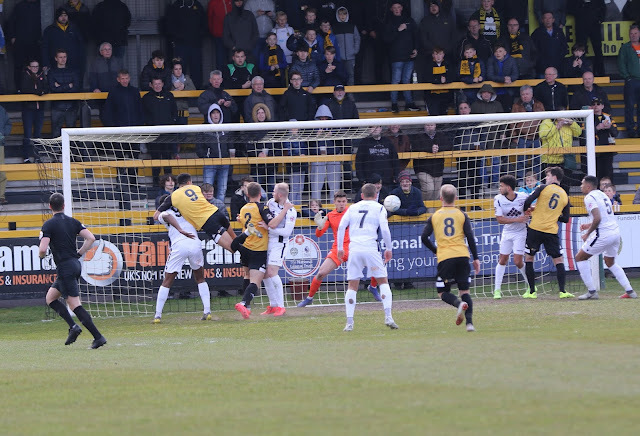 Towards the end of the period Richards broke towards the area but his shot went straight to the keeper. Minutes later Richards had another chance but his effort went wide. After the break Hereford looked a little brighter. But the gusty wind continued to make high balls difficult to judge. Two minutes in James Waite headed just over the bar. Soon afterwards Tom Owen-Evans lost his marker but he couldn't get a shot away. He appeared to land awkwardly near the keeper and was replaced by Tommy O'Sullivan. 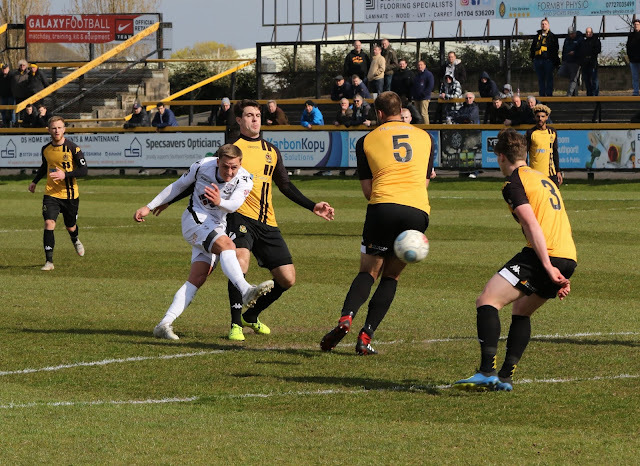 Then on 58 minutes Southport took the lead. Greenslade gave a free kick away and Matthew Platt turned the ball in from close range. 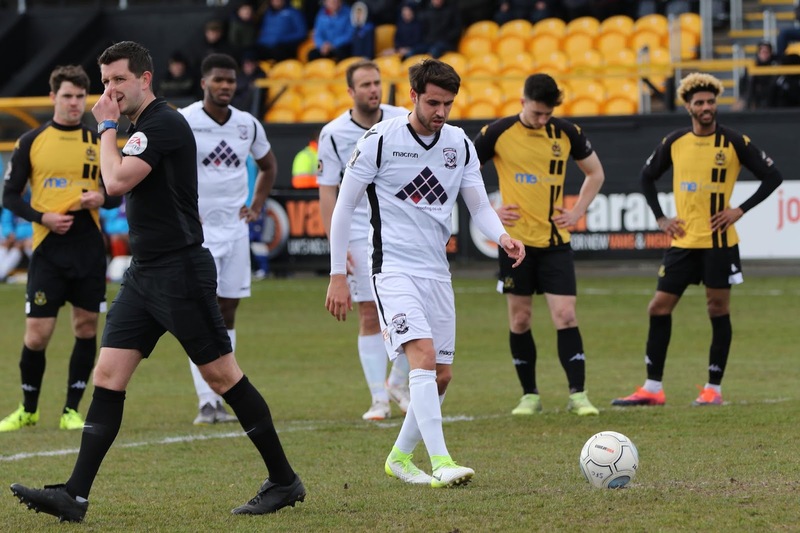 Mike Symons was brought on in place of James Waite and his presence meant Hereford were able to keep possession of the ball for slightly longer spells. But chances remained few and far between. 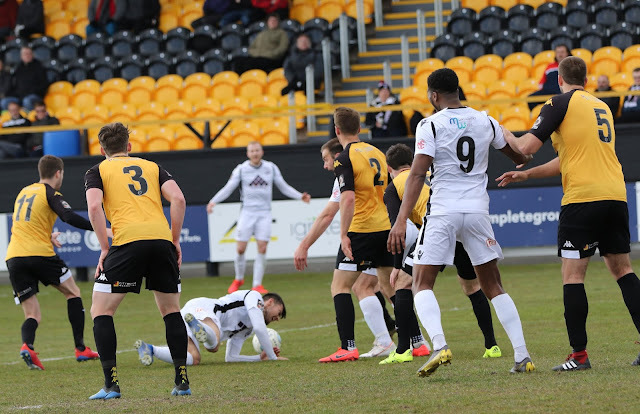 On 79 minutes Finn was brought down in the box and the referee pointed to the spot. However with Owen-Evans, who usually takes penalties off the pitch, O'Sullivan was given the opportunity. 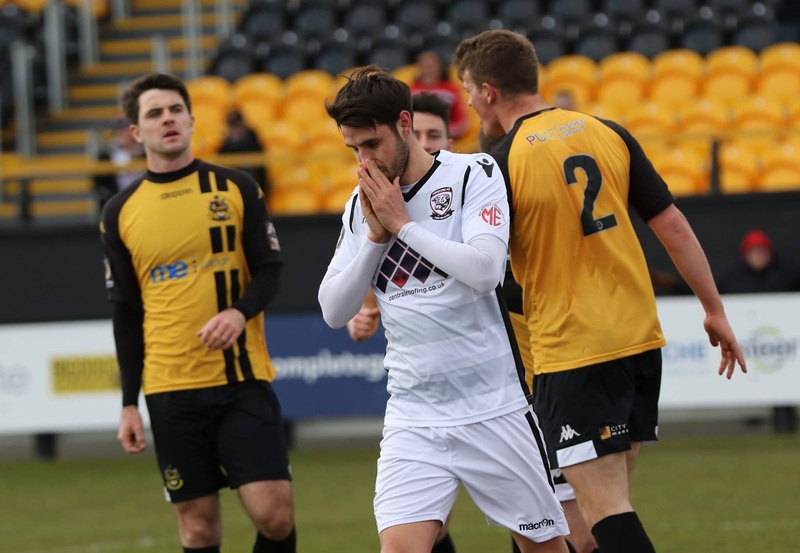 Unfortunately he blasted the ball over the bar and the best chance for Hereford was wasted. 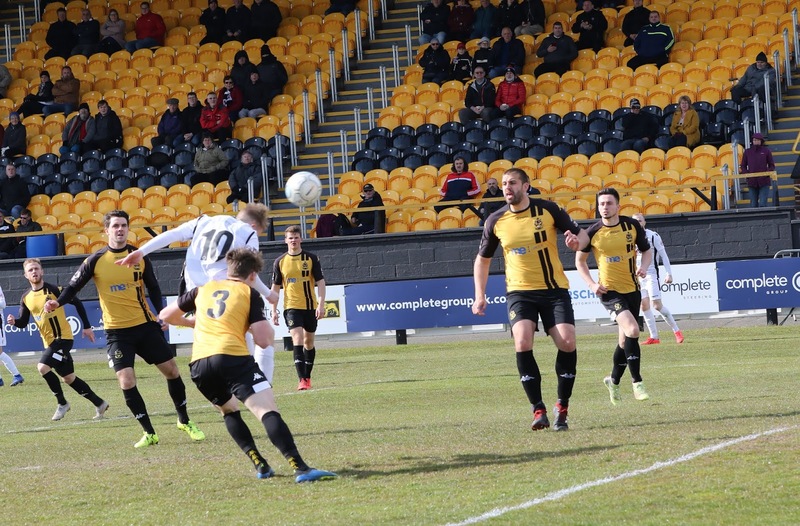 O'Sullivan tried his luck with a shot from 20 yards and both captain Gowling and defender Jordan Cullinane-Liburd joined in, both with headers. 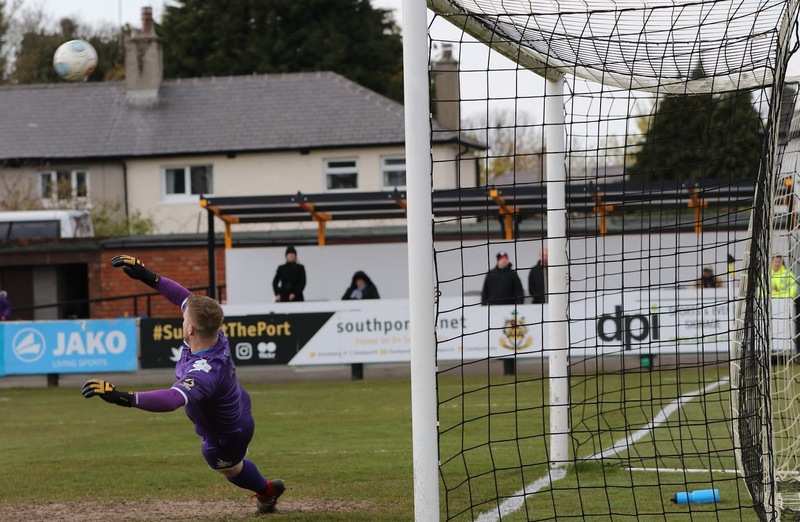 But Southport held out and, on balance, probably deserved the three points. Hereford: Yates, Greenslade, Gowling, Cullinane-Liburd, Hickman, Richards, Wharton, Waite, Owen-Evans, Finn, Liburd. Attendance 1002 with about 140 in the away areas.